A great dual-purpose variety for popping and decorations. 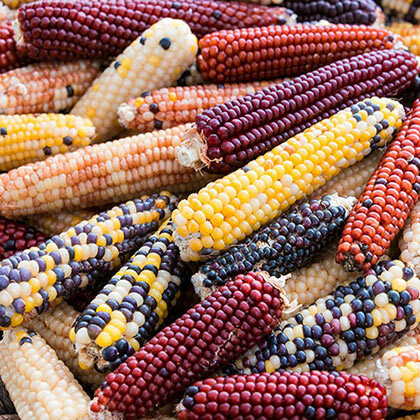 Firecracker Hybrid Popcorn has red stalks and leaves—and produces multicolored, miniature, 5-inch ears. Dry and shuck some of the ears for popping, and use some of the dried ears for fall decorations and centerpieces. 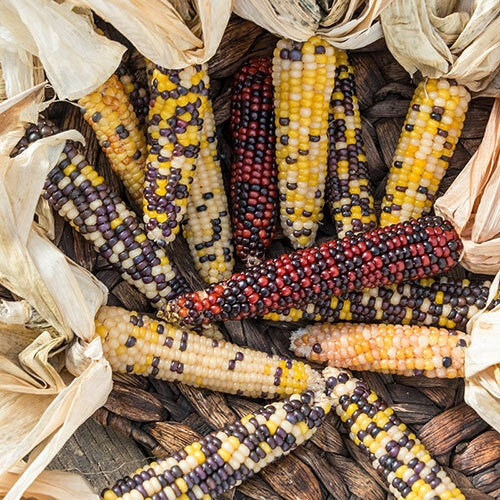 For best results, direct sow corn seeds into the sunny garden after the soil warms up to 60 degrees F. To help with pollination, sow seeds in rows forming a square. 95 DAYS. SpacingSpace 5 inches apart, in rows 24 inches apart. After seedlings come up, thin plants to 10 inches apart. Soil RequirementsFertile, rich, loamy, well-drained soil. PollinatorWind (needs several plants to pollinate). Yield10 dozen ears/100 foot row.